Healing the Trauma Body… Reconnecting with Wholeness and Resilience! We have all been traumatized, some more than others. Trauma is not special…it’s part of the lived experience and is at the heart of most human suffering. Traumatized persons have lost their ability to navigate life’s stressors in a flexible and fluid manner. Instead, they oscillate between feelings of helplessness and hyperactivity. In this workshop you will learn how to identify and track neurophysiological responses in your clients while providing a “road map” for them to move through the immobilizing effects of trauma. Explore the origins of interpersonal neurobiology through a theoretical and experiential perspective. Looking through the lens of embryology, pre & perinatal psychology, attachment theory, and somatic psychology we will examine the underpinnings of embodiment. Body-centered exercises and movement rooted in Aikido will support us in exploring resonance, attunement, and the capacity to play, as well as differentiating somatic transference/countertransference, projective identification, and clinical intuition. This presentation weaves together the perspectives of Somatic Experiencing®, Interpersonal Neurobiology, and Shamanism in providing a working model for Rolfing’s potency in resolving trauma. Learn to identify traumatic symptoms, facilitate the release of trauma, and care for self and other during this mythic journey. All wounding in relationship happens as the result of a breach or intrusion into one’s personal boundary space leading to predator/prey behavior. In essence, sense of self and inner knowing has been lost. This experiential workshop provides skills for developing healthy boundaries and increasing awareness of the subtle interplay between mind, body, and other. The effects of trauma are far-reaching: chronic pain, anxiety, dissociation, mental confusion, and emotional dysregulation. Most importantly, coherence between mind, brain, and body is disrupted leading to one’s inability to function from instinct and connect with the witness. The relational field of practitioner/client can facilitate a reconnection to wholeness through the right use of presence, resonance, and attunement. This workshop will explore the science and art of healing trauma. Participants will learn theoretical and practical skills to resolve traumatic symptoms and retrieve lost parts of the Self. The focus of this workshop is learning to resolve states of hyper and hypo-arousal. The effects of trauma are far-reaching: chronic pain, anxiety, dissociation, mental confusion, and emotional dysregulation. Most importantly, coherence between mind, brain, and body is disrupted leading to one’s inability to function from instinct and connect with the witness. This workshop is designed for somatic therapists (Body-workers, Chiropractors, Acupuncturists and Physical Therapists). We will explore how the “power of touch” can resolve traumatic symptoms and facilitate a reconnection to wholeness. 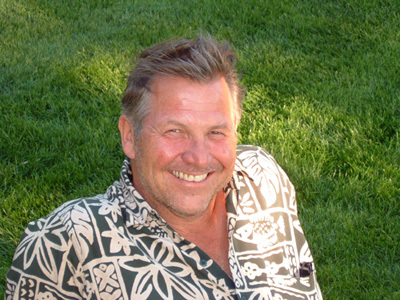 Bill Smythe brings to the field of Somatic therapy and Body psychology a fresh vision and praxis. Over the past 30 years Bill’s knowledge and teaching has embodied a deep and Holistic understanding of Structure, Function, Energy, Emotion and Spirit. Bill is an exceptional teacher and a skilled practitioner. Filled with skill, grace and compassion, he shares his gifts generously, both with his clients and with the students he mentors. Bill is an original thinker, a unique mentor and a visionary leader in the emerging field of Somatics. I recommend Bill Smythe with full confidence and without reservation. Peter A. Levine, Ph.D. is the originator and developer of Somatic Experiencing® and the author of Waking the Tiger, Healing Trauma, and Healing Trauma: A Pioneer Program for Restoring the Wisdom of Your Body. Peter A. Levine, Ph.D.